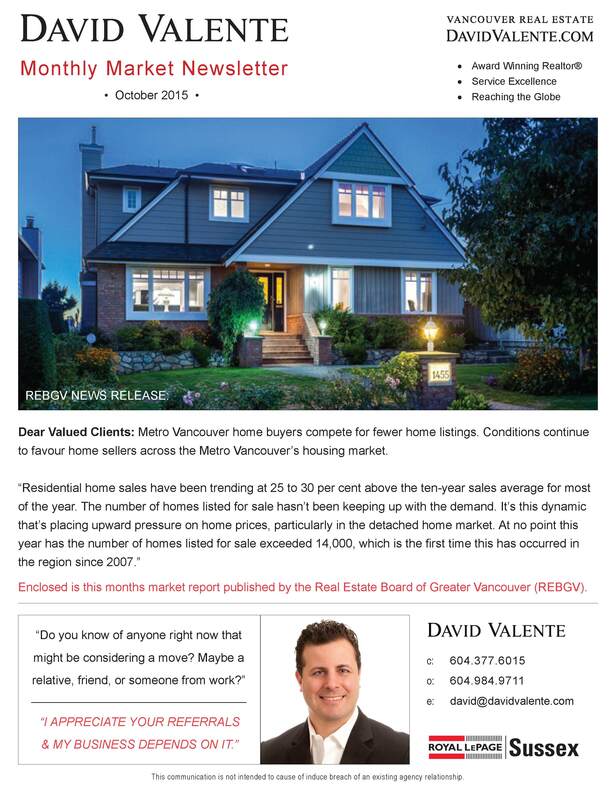 Conditions continue to favour home sellers across *Metro Vancouver’s housing market. 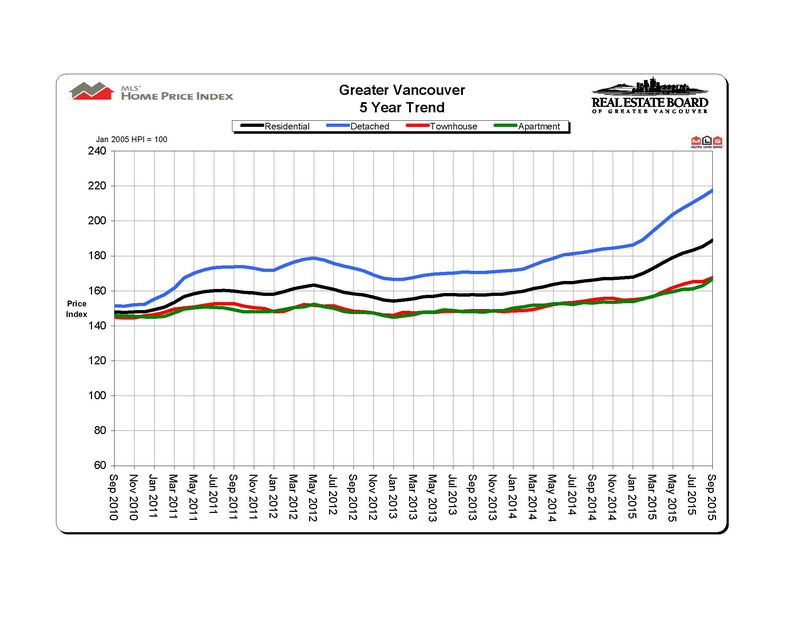 The Real Estate Board of Greater Vancouver (REBGV) reports that residential property sales in Metro Vancouver reached 3,345 on the Multiple Listing Service® (MLS®) in September 2015. This represents a 14.5 per cent increase compared to the 2,922 sales recorded in September 2014, and a 0.5 per cent decrease compared to the 3,362 sales in August 2015. Last month’s sales were 32.9 per cent above the 10-year sales average for the month. New listings for detached, attached and apartment properties in Metro Vancouver totalled 4,846 in September. This represents a 7.9 per cent decline compared to the 5,259 new listings reported in September 2014. 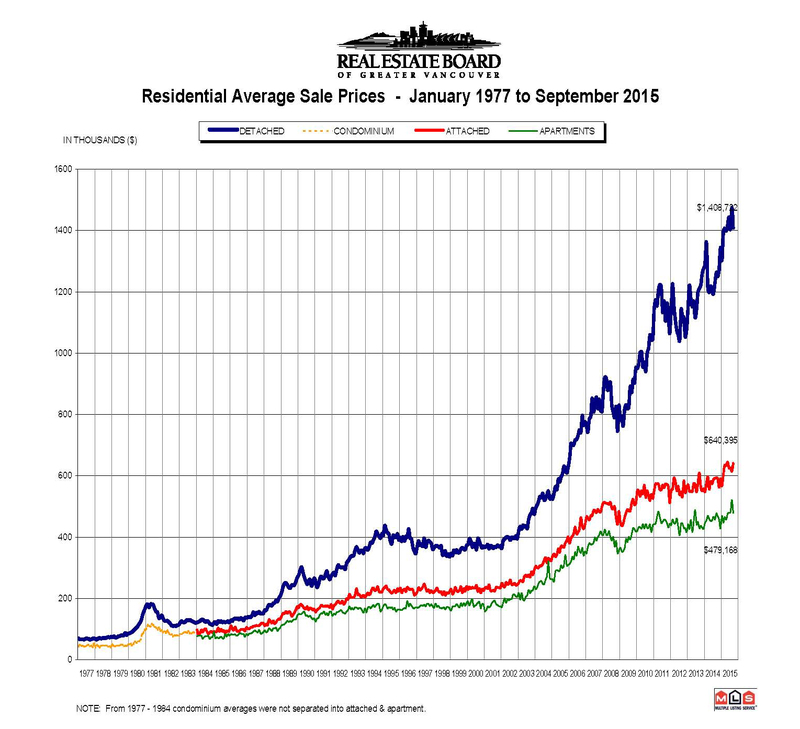 The total number of properties listed for sale on the real estate board’s MLS® is 10,805, a 27 per cent decline compared to September 2014 and a 0.8 per cent decline compared to August2015. “At no point this year has the number of homes listed for sale exceeded 14,000, which is the first time this has occurred in the region since 2007,” McLeod said. The MLS® Home Price Index composite benchmark price for all residential properties in Metro Vancouver is currently $722,300. This represents a 13.7 per cent increase compared to September 2014. The sales-to-active-listings ratio in September was 31 per cent. Generally, analysts say that downward pressure on home prices occurs when the ratio declines below the 12 per cent mark, while home prices often experience upward pressure when it reaches 20 per cent, or higher, in a particular community for a sustained period of time. Sales of detached properties in September 2015 reached 1,272, an increase of 0.2 per cent from the 1,270 detached sales recorded in September 2014, and a 24.3 per cent increase from the 1,023 units sold in September 2014. The benchmark price for a detached property in Metro Vancouver increased 18.9 per cent from September 2014 to $1,179,700. Sales of apartment properties reached 1,529 in September 2015, an increase of 28.7 per cent compared to the 1,188 sales in September 2014, and an increase of 50.2 per cent compared to the 1,018 sales in September 2013. The benchmark price of an apartment property increased nine per cent from September 2014 to $415,100. Attached property sales in September 2015 totalled 544, an increase of 17.2 per cent compared to the 464 sales in September 2014, and a 23.1 per cent increase from the 442 attached properties sold in September 2013. The benchmark price of an attached unit increased 8.1 per cent between September 2014 and 2015 to $518,600.